Faye recently took part in Rainbow Valley’s latest CAL, A Space Odyssey. 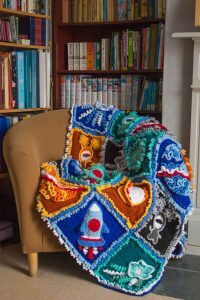 This blanket was designed for a CAL which started September 2017 and all parts were released in time for Christmas. Which was a good thing as Faye chose to gift the blanket to her nephew. Although complete, the CAL is now available as an instant download. The pattern is a 32 page photo tutorial, with additional online help, via a Facebook group. The design is made of 6 block designs in 4 colourways giving a total of 24 blocks, each with its own star burst border. 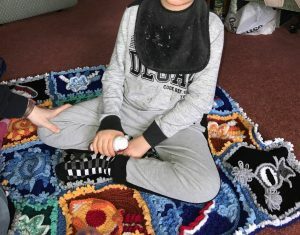 Many of the blocks have a unique 3-D element, which makes this afghan a wonderful “twiddle” blanket for people with special needs or requirements. It even has its own spaceman attached to a toggle that can “fly” around the wooly universe. You can use either DK or Aran yarn depending on how big you would like it. DK blocks are about 23cm (depending on tension) and finished size is about 140cm x 95cm. Aran blocks are about 29cm (depending on tension) and finished size is about 180cm x 120cm. Ellen; so hard to choose just one!!!! i actually have two favourites. 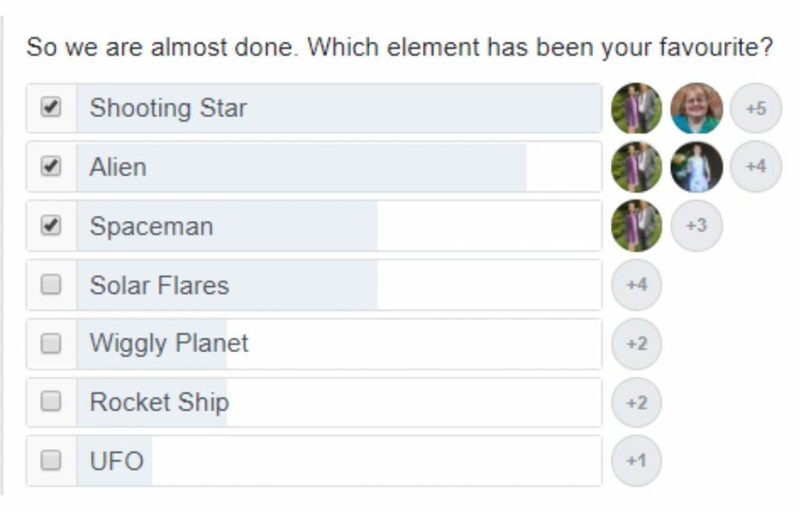 The star and the spaceman! Helen Free My favourite block was the wiggly planet. I know lots of you hated it but I thought it was fun. Have you enjoyed this crochet-a-long? We also took part in the Secret Garden, which is another Rainbow Valley design and can be purchased directly from Rainbow Valley Crochet website. 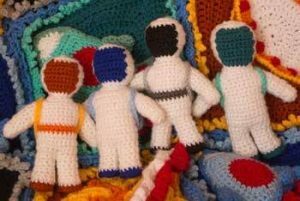 At Unravel & Unwind we are running crochet classes that specifically look at the technical aspects of these CAL’s with permission from Helen. 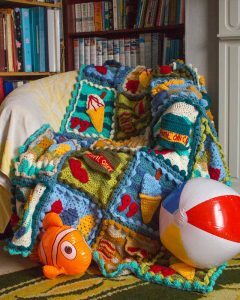 Inspired by the traditional British seaside with a hint of saucy postcard, this fun filled blanket will transport you to the beach directly from your sofa.